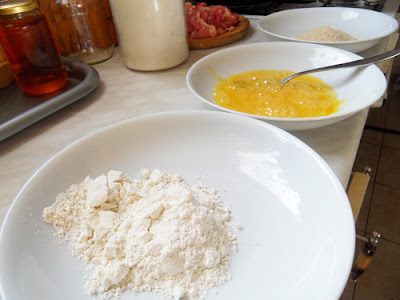 Breading is one of the most popular techniques for a lot of dishes in Hungary. 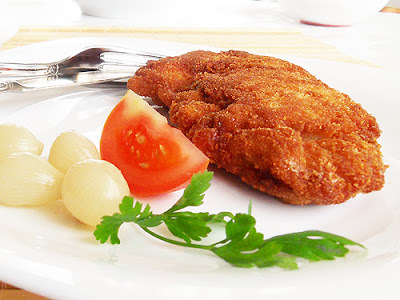 Chicken is especially delicious when it's coated or breaded with flavorful ingredients before cooking. 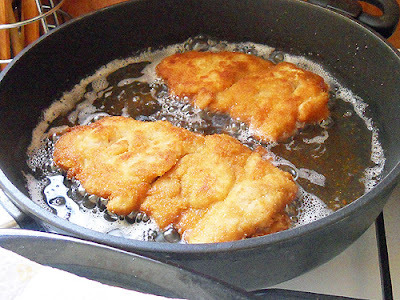 First only the wiener schnitzel was made with this method but today the technique has become widespread and is used for preparing practically everything. 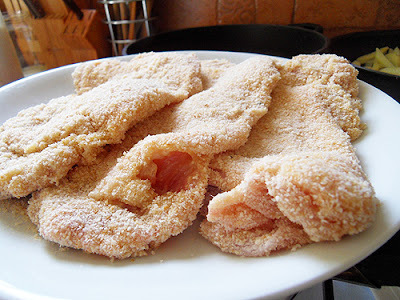 Breaded dishes are usually part of the festive lunches too. 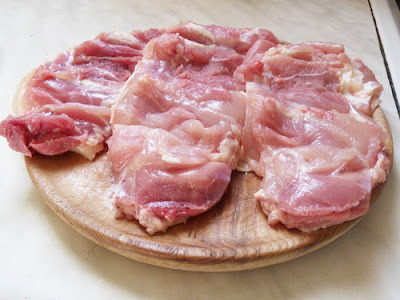 For example, Hungarians usually cook the following things with this method: slice of pork, vegetables, chicken breast, cheese, mushroom and so on. 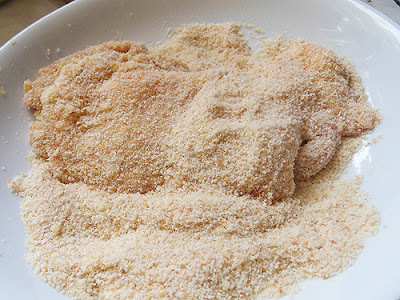 Breaded chicken is a very popular maindish in our country. 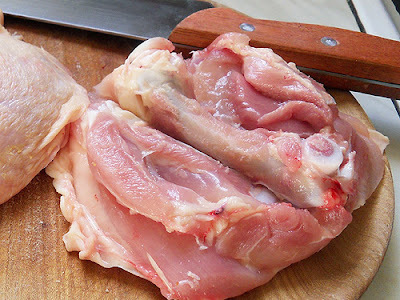 It is made from chicken breast, drumstick, liver, wing or upper part of chicken thigh. 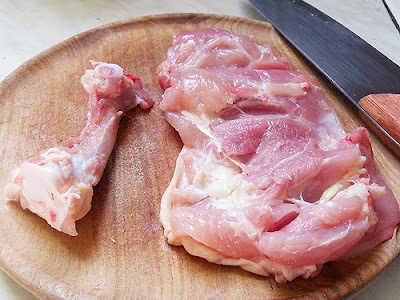 Cut around the bone of upper thigh with a sharp knife but keep the meat in one piece. Pull out the bone. You can put the bones in a soup. Cut the thick lateral part and turn out. Now you have a nice flat slice of meat. 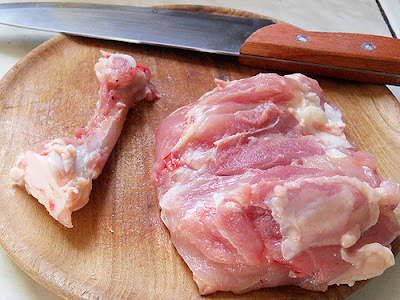 Unbone all meat with this method. 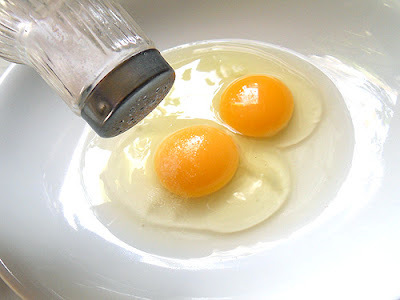 Salt both sides of the meat slices. ... beat them with a fork. 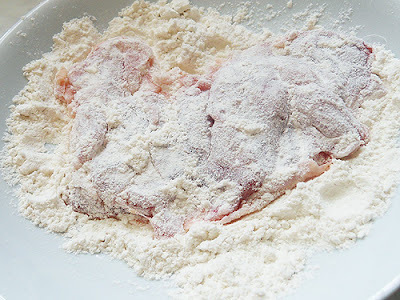 Put flour and bread crumbs into 2 other plates. ... and with bread crumbs. 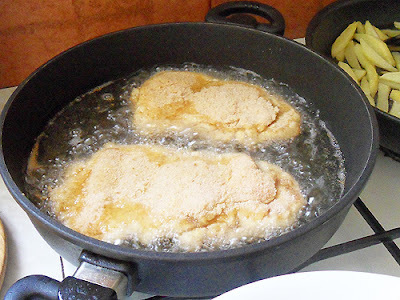 While are you coating the chicken slices, medium-heat plenty of oil in a pan. 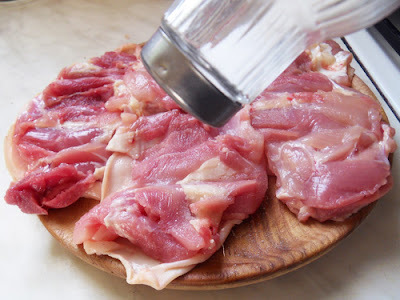 Fry one side of meat for only 2-3 minutes. Turn them around. 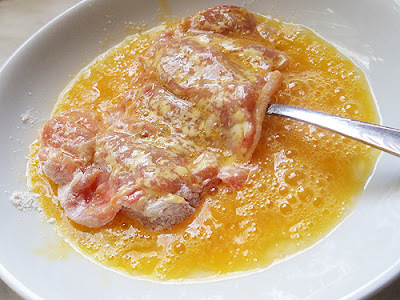 Fry the other side of meat until golden brown. 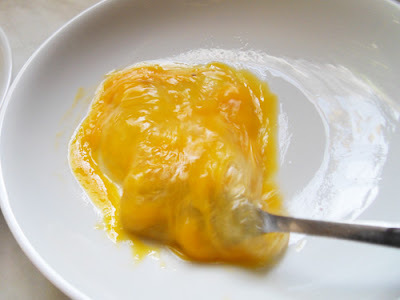 Turn it around again and fry the other side of meat until golden. 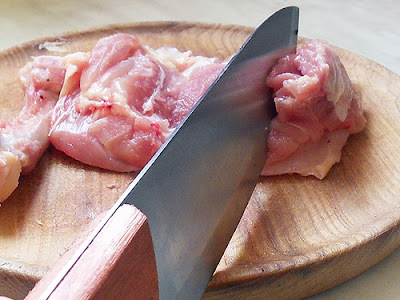 You should not insert the fork into the meat, because this makes the valuable meat juice vapor. Reach with the fork only under meat. Put the breaded chicken on paper towels. 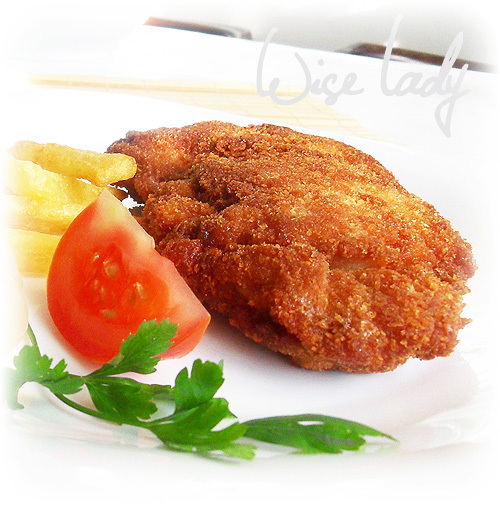 Eat the breaded chicken with any garnish, sauce or pickles. 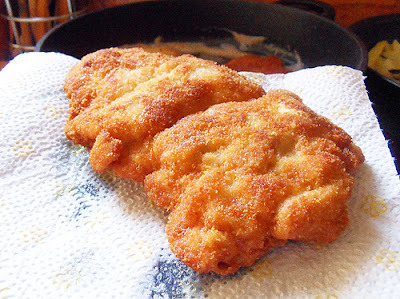 0 megjegyzés ehhez: "Breaded chicken"
I am a Hungarian woman with children and husband. I usually cook everyday.